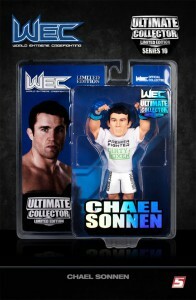 Round 5 MMA Ultimate Collector figures have emerged as a popular niche line of premium sports figures. 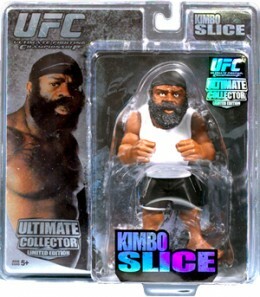 specializes in premium MMA figures. Through it, Round 5 has produced figures for the biggest names in the sport, both past and present. 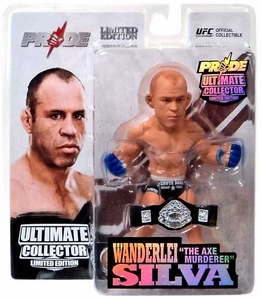 Collectors can find figures from early pioneers like Randy Couture all the way up to current fighters like Chael Sonnen and Ronda Rousey. 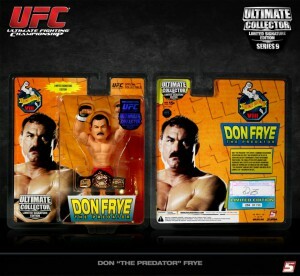 Just about every notable champion, contender and Hall of Famer has been featured in the company's product line. 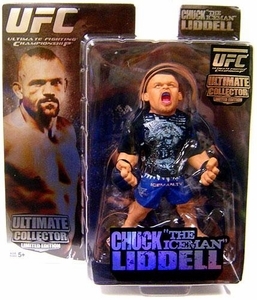 Round 5 got its start in 2007 and released its first line of MMA figures the following year. 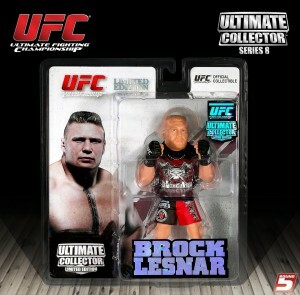 The first figures were released under the brand World of MMA brand. This lasted four series. 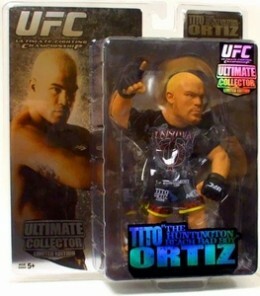 Beginning in 2009, after securing a licensing partnership with UFC, the brand was changed to Ultimate Collector. 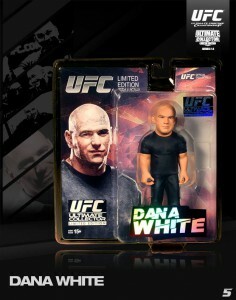 The incredibly popular line of six-inch figures have blossomed from an initial cult following to a much wider audience. This has given rise to dedicated online communities in the form of blogs and forums. Figures are highlighted by realistic molds. 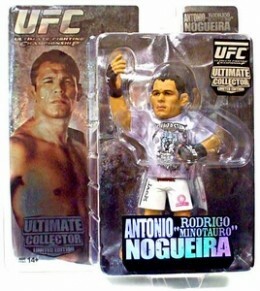 Most have eight points of articulation. Understanding the need to create a collectibles element, Round 5 issues each series with regular edition and limited edition figures. 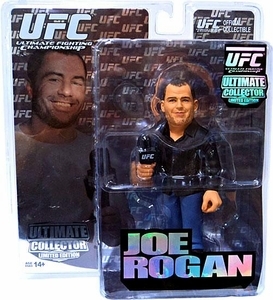 Much like McFarlane SportsPicks, this collectible aspect is typically delivered in the form of alternate clothing or accessories. However, certain series have non-variant Limited Edition pieces. 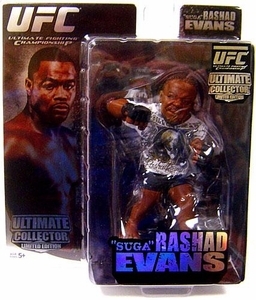 Chase figures are occasionally produced and are considered to be very rare. 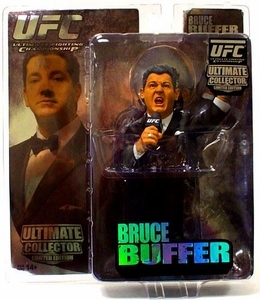 Unlike Limited Edition figures, exact production runs for chase figures are not made public. 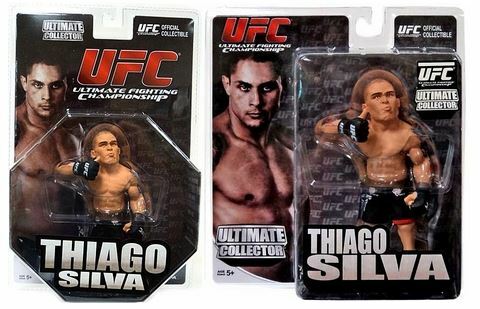 To date, their have been a total of 14 series released in the combined World of MMA and Ultimate Collector lines. To complicate things just a bit, Series 12, 13, and 14 have each have a .5 sub-series release. You can use the tabs above to get full checklists for every Ultimate Collector series including details on Limited Edition and Chase figures. 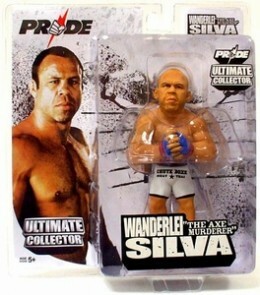 Round 5 Pride Ultimate Collector "Mauricio Shogun Rua" Action Figure- New!! 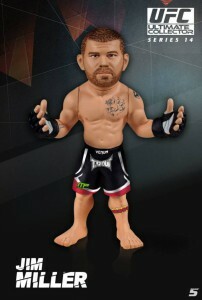 Production runs for Limited Edition figures are noted. Note: This series was originally released in a new packaging format. The clam shell portion of the packaging was shaped like an octagon. Collector complaints about the incongruity led to a small run of Series 5 figures in regular square packaging. 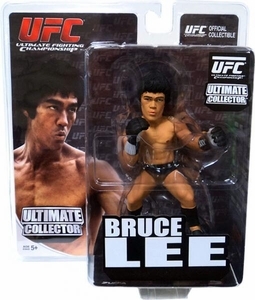 It is estimated that around 667 of each figure were produced in the square packaging. 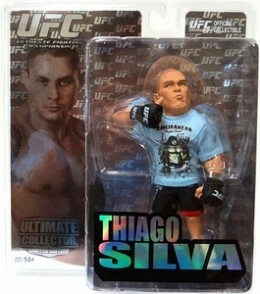 This does not include Limited Edition figures, which were all distributed in square packaging. The picture below is shown for comparative purposes. 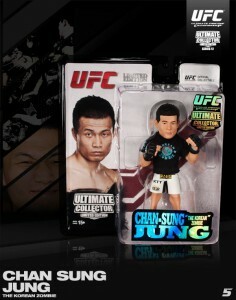 The square packaged figures command a premium. 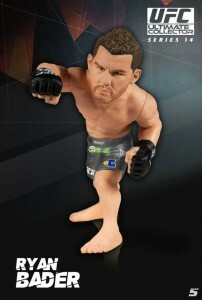 Kenny “KenFlo” Florian - ROUND 5 MMA - UFC Ultimate Collector Series 1 NEW! 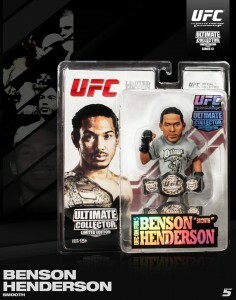 Kenny “KenFlo” Florian ROUND 5 MMA UFC Ultimate Collector Series 1 Limited EDT!! 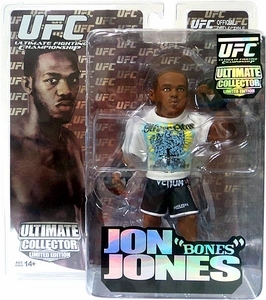 Jon “Bones” Jones - ROUND 5 MMA - UFC Ultimate Collector Series 6 - NEW! 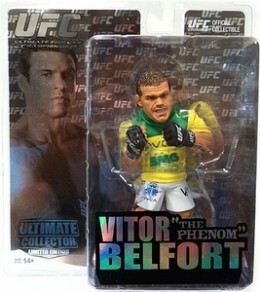 Anthony “Showtime” Pettis - ROUND 5 MMA - UFC Ultimate Collector Series 10 NEW!! 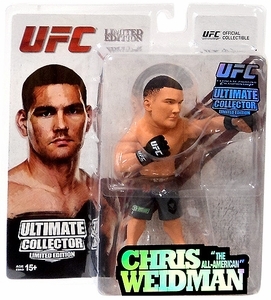 Anthony Pettis- UFC Ultimate Collector Series 10 Round 5 NEW! The regular-issue figures from Series 12 were distributed exclusively at Toys 'R Us in the United States and online. The regular-issue figures from Series 13 were distributed exclusively at Toys 'R Us in the United States and online. The regular-issue figures from Series 14 were distributed exclusively at Toys 'R Us in the United States and online. 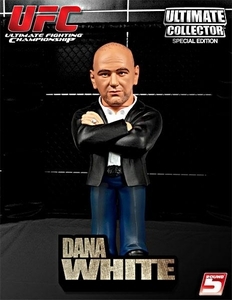 DANA WHITE - ROUND 5 MMA - UFC Ultimate Collector Series 14 Limited Edition NEW! 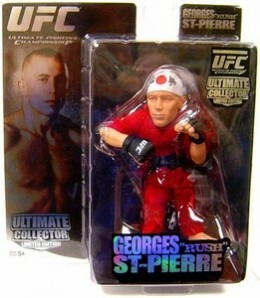 Georges “Rush” St Pierre ROUND5 UFC Ultimate Collector Series 11 W Poster NEW! !